So this year I’m starting a new tradition on my blog. The Best of Beauty. As you guys know I’m always trying out different beauty products to review for you guys. 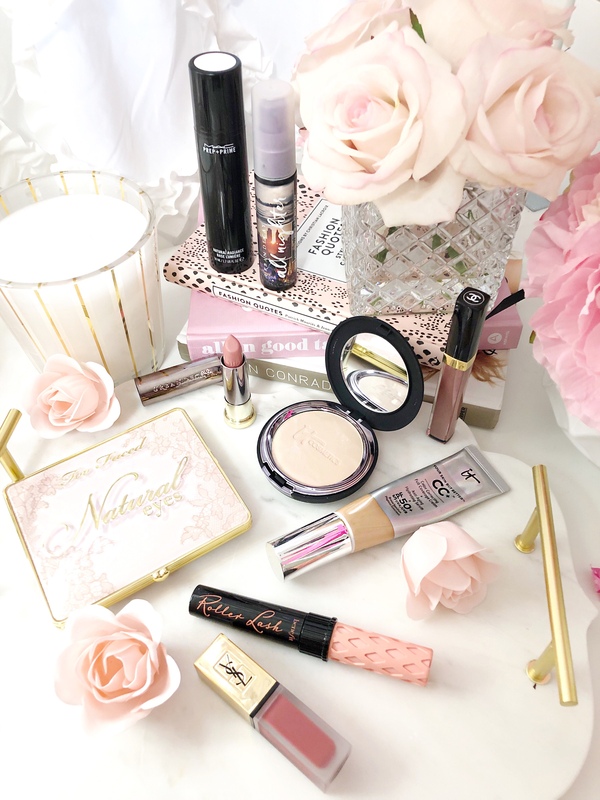 I never share or recommend anything I don’t like to you guys of course, but it can still be overwhelming when you see everyone posting so many products to Instagram. I decided that at the end of each year I’m going to do post for you guys rounding up the products I ended up using and loving the most. That is not to say that other items I have shared I didn’t like I’m just sharing my favorites that I use the most. This post is not sponsored or pushed by any brands in any way. 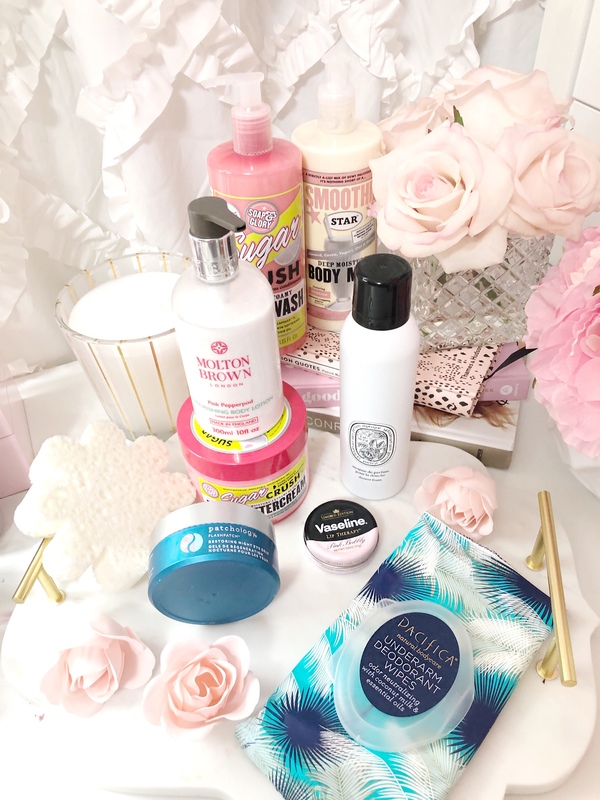 But naturally, some of the items I fell in love with were items I discovered through being sent products to try and a lot of them I found on my own. All of these items are my holy grail beauty products-all items I would by with my own money, have bought with my own money, or would replace with my own money if it was gifted and I ran out. This is a nice alternative to the cream, it’s thinner I’ll use this when it’s really hot hot out and this is another good one to use before makeup because it’s thin. This product helps control my cystic acne. I use it after I put on my toner and before I moisturize at night. I let it soak in before moisturizing. This is a new one that I just started using I’ve been alternating it with the pro-glycolic while I test it out but so far using them together has really been helping my acne. 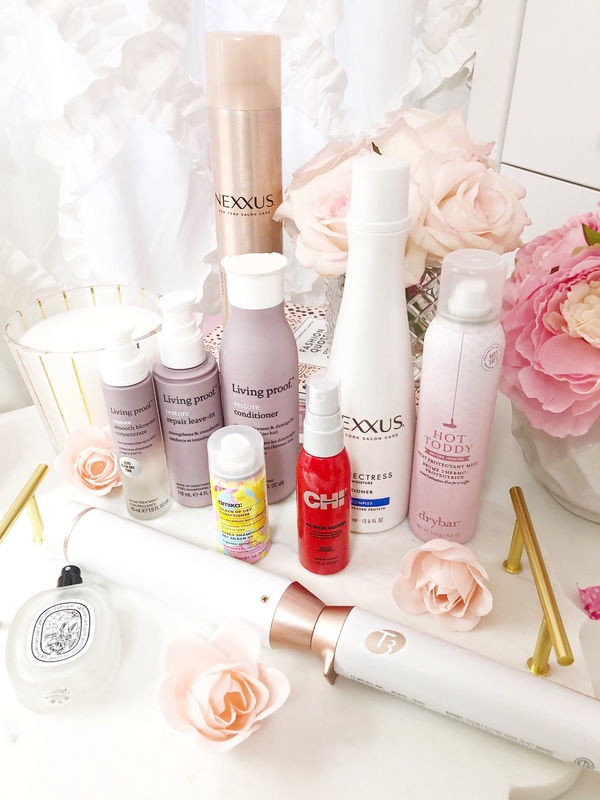 I always use a toner in my nightly skincare routine. After I wash my face, I use toner, then the glycol then I moisturize. I like this toner because it isn’t harsh and toners tend to contain alcohol which can really dry out your skin but this one does not. I’ve been using this one for about 2 years. Okay so I have the driest lips ever. They are ALWAYS chapped. No matter how much water I drink, no matter how much chapstick or lip bam I use they are always dried out and I’m still working on a solution for it. I grabbed this on a whim at Sephora one day and I think it really helps. I put it on pretty thick before bed and it works pretty well. If you know of any great products for dry lips leave a comment on the post I’d love your feedback. So my husband Chris actually turned me on to this. He always uses lip balm and he’s been using this one a lot lately I think this one is another good one and I like the flavor. Carmex is also good but it’s really strong and I’m not a fan of the after taste or the smell even though it works well. When I was in college I had a date and of course I woke up with a nice sparkly zit. A girl in my class whipped this out of her purse and gave it to me (thanks Krystal) and it helped a lot. So I use this one from time to time. I feel like I couldn’t find it for a few years but it could have been because of my location at the time but I was really delighted to find it again and they have a line of products dedicated to acne as well. I’ve been using these makeup wipes forever.The hydrating ones are a newer product but I’ve been using their wipes for as long as I can remember. The hydrating ones are particularly good and they do leave your skin feeling hydrated. Both my husband and I love these, they are super relaxing when you are tired and your eyes are puffy. I also love these for when I travel. I was talking about my dry lips earlier in the post and I use this before I put on lip color to get of any dry skin. I’ve tried a few different scrubs and this one is my favorite so far. It also has a nice taste. I may have mentioned that I get dark spots and some scarring from my acne. I highly recommend this cream to help uneven skin tone and discoloration. I’ve had good results with it. I first discovered this product at a makeup trade show. It’s a serum that enhances the length of your lashes. I was very skeptical at first but the employees from the brand were showing off theirs and I couldn’t believe they didn’t have lash extensions. I decided to give it a try and it actually works! Slowly but surely my lashes were fuller and longer. I’m very careful about what I put around my eyes and had no issues from irritation whatsoever. This was something new I tried this year. It looks like it’s getting popular because I noticed it was sold out at a lot of places already. This gives great facial moisture that really hydrates. I love to use this when my skin is particularly irritated it’s very soothing! This is a recent product I just started using towards the end of the year! I was looking for a new toner and so glad this arrived for me to try out! I worked wonders for my acne in just a few days in combination with a bunch of the products I mentioned above! I love that it is alcohol free and helps to prevent irritation which is great because so many toners dry out my skin and make it worse. 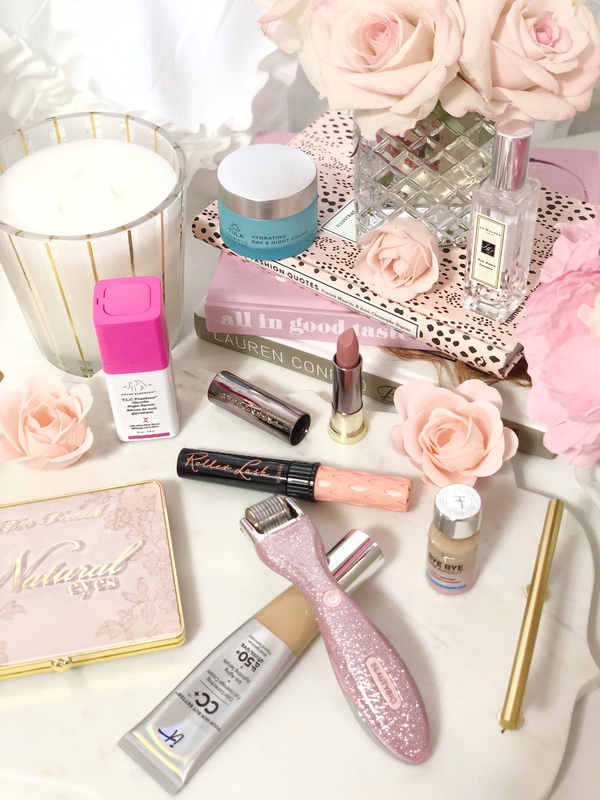 Here are some of my favorite beauty tools that I recommend. Bear in mind that everyone’s skin and skincare needs are different. About my skin: I have frequent breakouts, sensitive skin (sometimes even baby sensitive) and I have uneven skin tone in some areas and acne scarring. Always, always, always consult your doctor or dermatologist about your skincare routine. Clarisonic Mia Prima Sonic Facial Cleansing Brush I’ve been using this tool for over a year now and I absolutely love it. It’s totally worth the investment and it’s versatile. 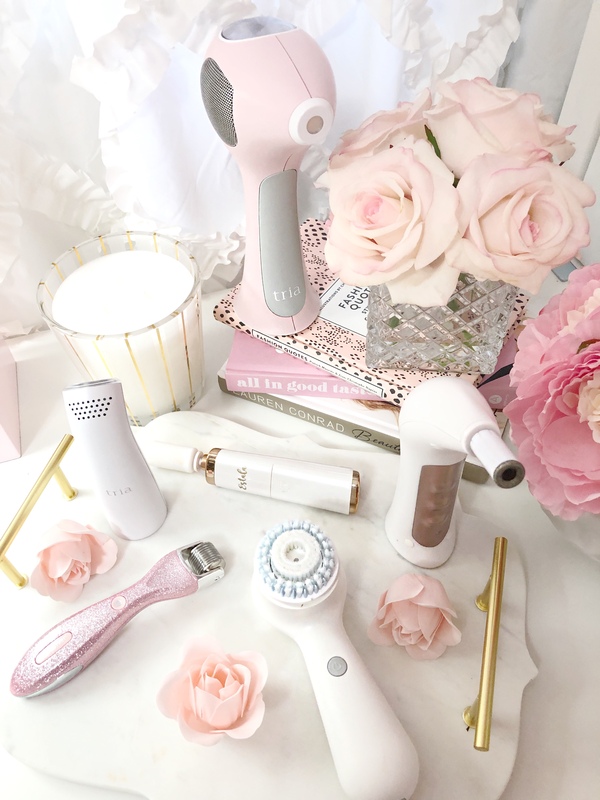 There are several different brush heads to pick from to suit your personal skin type and needs and they even have a makeup blender attachment. Clarisonic Sensitive Skin Cleansing Brush Head This is the one I love the most. I have very sensitive acne prone skin and this one doesn’t irritate my skin. BeautyBio GloPRO Microneedling Tool This is a newer product that I got, but I really love it. 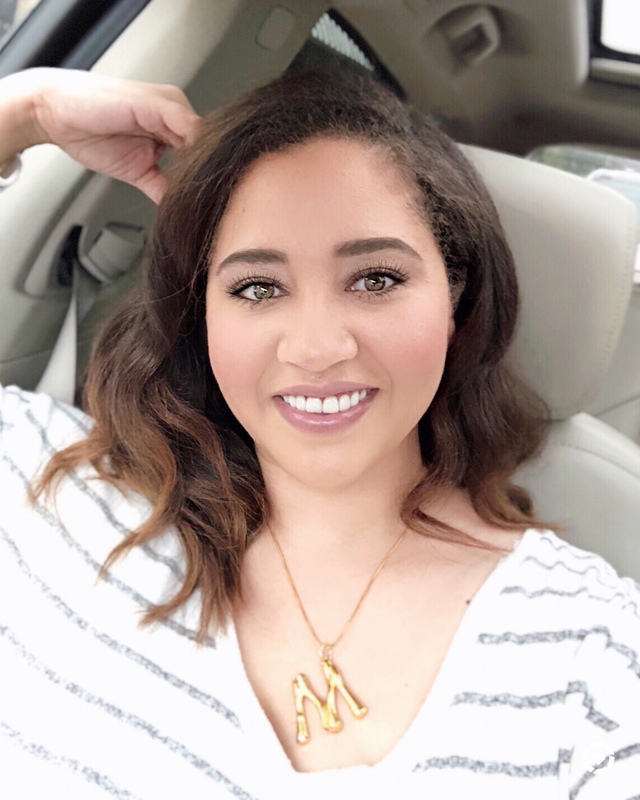 I use it once a week and it helps the products you use actually get deep into your skin instead of sitting on the surface and I noticed a big difference in the effect of the products I was using as a result. Everything was working much better. Tria Beauty Positively Clear Acne Clearing Blue Light Device I was so impressed with my results from this tool. I first discovered Tria Beauty when I tried out their laser hair removal system and loved it. I have cystic acne and I noticed a big change in my acne scarring and the amount of time my breakouts lasted. I have a post on my instagram showing my personal results on my skin from using this. Tria Beauty Hair Removal Laser 4x– This was the first Tria product I tried. I have PCOS and that means you get super fun hairs poking up in super fun places (chest, cheek, lip) I use this for small touch ups in those areas because shaving can make it worse. You do need to use it regularly and you will notice the hair growth slowing over time. Trophy Skin MicrodermMD Home Microdermabrasion System– Over a year ago I had never tried any type of microdermabrasion. Again having sensitive skin, I’m always conscientious about products that might make my skin more sensitive or raw. I was thrilled that this did not do that. I use it gently and I also love the suction tool. The full system comes in a very convenient folding case and I also have the travel size which is great for on the go. I also love the ON THE GO TOOL! Estala Makeup Brush Cleaner I recently bought this on amazon and I’m OBSESSED with this. No more are the days of hand washing each brush and having to leave it out to dry. It cleans all your brushes on the spot and they come out almost completely dry. This one comes with a set of really nice brushes too! Real Techniques Miracle Complexion Sponge is the best drugstore alternative if you don’t want to buy the original beauty blender. BeautyBlender Liquid Makeup Sponge Cleanser This is what I use to clean by blender sponges. It leaves them fresh and clean! Philips Sonicare ProtectiveClean Electric Toothbrush I got this as a wedding gift and it’s great! If you didn’t know I have veneers so I really needed a good toothbrush to polish, clean and shine them. Whether you have them or not it’s s superb clean and investing in your health always pays for itself. Luxie Makeup Brushes Once again another beauty trade show find. These are so good! These brushes are high quality and really good for the price. At first they were hard to find but I can see now that they are pretty popular! Braun Silk-Epil Bikini Style Epilator I’ll admit I do a little shaving, I don’t use this for my bikini area I actually got it for my face when I need to do touch ups for my laser (Tria) I don’t recommend shaving your face a lot but sometimes when I am in a rush I need to just get rid of those pesky hairs. I’ve gone through several trimmers similar to this but this one seems to be the best. Again I have not tried this in the bikini area so I can’t really review it for that but it works for what I got it for. Pop Sonic Lip Exfoliator This was a recent find at Target. If you read the beginning of this post I was talking about how dry and flaky my lips can get so I got this (skeptical) to try to help exfoliate them and I really love it! I use it with my lip scrub and just rinse it off after. Smith Brushes 214 Spoolie Brush My recent post about my every day makeup has a full list of my favorite brushes BUT I had to mention this one because it’s just so good for brows and I haven’t found another one like it. This is also another brand I discovered at a trade show that I love! Ok so if you have acne like me or dark spots or maybe you just don’t like a lot of product caked on your face THIS IS IT!!! It’s a thin CC cream that gives AMAZING coverage. I usually just apply the powder in the review below this over it and it’s perfect. I constantly repurchase this! I love love this powder. In combination with the CC cream above the coverage is wonderful. And the combination is even great in the summer when you sweat! Highly recommend this! Once I got this it was game over. This is my hands down favorite palette to use for contouring and highlight. It’s all in one (it also smells like chocolate) and I use it every day! If you have acne this is the perfect way to hide your blemishes. I’d apply it before the CC cream, then apply the cc cream then powder. Still super lightweight and great coverage if you are having a bad breakout or even just a spot you want to cover up! I was lucky that I found a shade that matches my skin tone perfectly and it’s literally just like erasing your blemishes. So good! So this bronzer IS a bit of a splurge but I think it’s worth it. I love using this in the summer when I’m a bit more tan. But it’s still great all year round! Bonus points for the gorgeous packaging. I got this in a PR package this year and I am hooked. I feel that even though I do have some other favorite hippies I’m constantly grabbing for this. I have VERY dry lips and this doesn’t dry them out and it truly is long lasting. I use the shade BACKTALK! If you read my makeup routine post you know that my brows are out of control. I have very naturally thick curly hair and my eyebrows are SO curly. Like each hair goes in a different direction. I stopped waxing them over a year ago to grow them out and I just lightly tweeze and trim. This is a great way to fill in your brows and add shape. They have two sizes one is a smaller tip and one is a thicker angled tip! They are both amazing. This is another great option for brows. This one is a great for a natural look and fills in your brows as well. It has a wand like mascara except for brows. I use the brown shade. This has been my all time favorite palette for maybe 2 years now. They very unfortunately discontinued the original large palette but they have made a new one that has the best shades from it. Bonus, it smells so good! This is a sort of splurge but it’s well worth it. I use this as a “topper” gloss that I like to use over my lipstick. It looks great alone too. My lips are always very dry and this one is pretty moisturizing and comes in great colors! This is one of my favorite drugstore lippies. You can’t beat the price and I consider it to be comparable to higher end lip colors. I don’t buy drugstore makeup often but this one is a keeper! This had been my ride or die lip color for a year or two. I use this one more for “going out” because I hate having to touch up my lipstick over the course of the night. This comes in so many colors both natural, bright and bold and it LASTS. The color stays on all night (I’d compare it to lip sense without it drying out your lips completely) and sometimes lasts till morning. I actually own all of the colors! And you can mix them too! This is my favorite splurge lipstick. My favorite color is MAGGY which is similar to the UD Vice lipstick I rave about. This was the first lipstick I ever splurged on and I’ve been using it for several years. I’m so glad they haven’t discontinued my shade! This was a new purchase within the last 2 months but I love it. I love big palettes and this has ALL THE BEST COLORS. It’s Under $30 and the quality of the makeup is TOP NOTCH. Like something I’d expect from a luxury brand. They blend so well and are great for both natural and dramatic looks. Before I discovered IT COSMETICS this was all I used. I really needed the coverage and this was great without having to pile on concealers. A lot of days I would just use this a dab of blush a dab of bronzer mascara and lipgloss for a super natural look. When I have especially bad breakouts I turn to this when I need more coverage. This is also another good one for summer if you sweat. I’ve grown to love this this past year. There’s debate on whether to use before or after makeup I do both. You can also spray it on to your hand with your foundation to dilute it a little bit or use it to mix colors. It also just generally feels nice for a refresh! Fell in LOVE with this brand this year. Every single product is amazing in the this line. I am ADDICTED to this body wash I wish they made it in a gallon size with a pump. It feels SO GOOD on your skin and it smells amazing! You can get it at target and it’s super affordable. I first discovered these through a FAB FIT FUN Box and I was in love!!! These are soo amazing. It’s a body sponge/exfoliator/buffer with the wash built in! The best part is they aren’t like your average loofa that can get gross after a while and so often we forget to replace our loofas before they aren’t good to use anymore. With Spongelle each sponge has a certain amount of washes built in and then you just toss it! These are so worth it and they smell incredible and exfoliate nicely! They even have an auto replacement option so you never run out! MUST HAVE and these make amazing gifts! I want to try all of their scents! Ok so I actually HATE lotion. I can’t stand the feeling of it all over my body. BUT I LOVE this one. It’s thin and doesn’t leave me feeling sticky. I have eczema and my skin (particularly my arms, elbows and knees) get super dry especially in the winter. This is super hydrating and has a nice refreshing light scent. I received a set of the hand wash and body lotion as a gift this year and fell in love. Everyone that comes over asks about it if they use the bathroom. I like to keep nice products in our guest bathroom, but it’s a perfect pamper for yourself and lotion is light and has an amazing scent! ok so I don’t have a baby BUT I love these. I use them for personal places to refresh sorry if that’s TMI but I keep it real on here. I love them smell and they are light and refreshing. I don’t typically go for lip balm but this one is SO GOOD. It really hydrates my lips. I don’t stick my finger in the tin I just sort of “kiss it” and rub it in. I love this for my super sensitive skin. It also comes in an unscented sensitive version. Personally I like the one with the light scent. This is another lotion I don’t mind and doesn’t leave my skin feeling sticky which is a HUGE pet peeve on mine. This has been my ride or die deodorant for YEARS. I love the gel because it goes on clear and doesn’t leave white marks. I sweat horribly like a caveman and this is the only thing that seems to do the trick. I literally cannot wear tshirts because I get underarm wetness. I’ve been this way since I was a child. This has helped a great deal. In the summer I use the clinical protection before bed and this during the day. Most deodorant smells bother me but this one is fresh and clean. This was a wonderful find. First off it smells incredible. I don’t apply it all over but I use it on my arms and elbows for the nice smell and the moisture. In addition to the deodorant I was mentioning aboveI use these too. Sometime I need a mid day refresh and I use this. It’s also great to wipe down after working out to eliminate any outstanding odors to freshen up! So this is a personal product for your hoo ha! I always use this after shaving or waxing to help fight against razor burn, ingrown hairs and bumps. It really is a godsend. It will feel “hot” for a few minutes after using because your skin is freshly shaven and it’s a delicate area but trust me it works! The waxer I went to in NYC encouraged me to get this after one of my sessions. I was skeptical at first but now I swear by it. T 3 Micro Whirl Trio Interchangeable Styling Wand This is the best curling wand I have ever tried. I’m 100% serious when I say I did not know how to curl my hair until I was 27 when I started using this. This wand is so easy to use and has interchangeable barrels. I recommend starting with this trio set so you can sample the different barrels. If you prefer clip barrels you can purchase those separately as well. Dyson Supersonic Hair Dryer I was gifted this dryer about a year ago and I never looked back. It tries my hair super fast and it’s incredibly light weight. I know this one comes with a heavy price tag and yes there are plenty of other hair dryers out there that work just fine but this is so worth the investment. It’s the best hairdryer I’ve ever owned. Brocato Vibrastrait Pro Straightener I’ve had this flat iron for several years now. I first learned about it because my hair stylist in college used it on me and it just works amazing! The plates vibrate and help to smooth out frizz which I have a lot of. I’ve never had any problems with it whatsoever. It’s great for all hair types but if your hair is frizzy it works really well. Living Proof Restore Shampoo and Conditioner Oh how I could go on and on about how much I love this brand. After I took out my extensions my hair was a DISASTER I had bald patches and I probably lost 50% of the volume I had (prior to extensions) The extensions had been gradually pulling my hair out at the root. Not to mention I had gone blonde which damaged my hair as well. I don’t even want to talk about it because it was so bad. Anyways, my hair was left really damaged and I was just heartbroken. I had to wear wigs and clip ons for almost a year. I was afraid to put anything on it. I saw another blogger recommending this line. I was hesitant at first because it’s not the cheapest but it’s not horribly expensive either. But boy was it worth it. I started using it and my hair slowly but surely regained it’s strength. And now about a year later it’s grown and it’s healthy and getting stronger and I’m wearing my hair naturally again. I’m slowly getting the confidence to wear it down but loving my high buns and top knots. Living Proof Restore Repair Leave-In After I was with the shampoo and conditioner above I use this on my damp hair and leave it in and let my hair air dry. My hair is VERY VERY curly naturally (you probably wouldn’t recognize me lol) but I blow dry it after that. Nexus Comb Thru Volume Finishing Mist Hairspray I’ve been using this hairspray for years it’s SO GOOD. It gives great hold but the best part about it is that it doesn’t leave your hair crunchy and you can literally comb it through just like the product name. That’s amazing because the worst ever is when you wash and dry your hair and style it nice then use hairspray but then you have to wash it again after because they hairspray is still stuck in there. CHI Enviro 54 Hair Spray-Natural Hold This is another hairspray I’ve used for a few years. I use this when I really need my hair to stay in place. I have a lot of baby hairs so when I am going somewhere nice I use this to pin down all my baby hairs and fly aways and it’s great for holding curls. They make it in a few different strengths but I like the natural hold the most. You can’t go wrong with a classic CHI flat iron. They are great for all hair types and in my experience don’t cause a lot of heat damage. MAKE SURE you are using a heat protectant when you are using hair tools. I would also recommend their IRON GUARD heat protectant. My mom used this on my hair when I was a kid. This conditioner is VERY moisturizing. I leave it in for 5-10 minutes while I am washing the rest of my body and you can actually feel the difference in the shower after having it on for only a few minutes. It’s so GOOD! Most days I wear a sleeping hat. My hair dries out so easily and I love this one because it has a wide band. It’s super comfortable. It might look a little silly but it’s a great buy. I prefer this over a silk pillowcase or a hair wrap for now. It’s also spacious so your hair can breathe and it doesn’t feel tight. This a beauty splurge favorite it smells exactly like fresh roses. I love spritzing this on my hair in between washes to freshen up. Everyone always asks about it when I am wearing it because it smells sooo good! I started using these hair ties about a year ago I want to say and these are also great! They are super comfortable and they don’t leave creases and they are very subtle. I was skeptical at first, but fell in love with them. Slip Silk Scrunchies I received these as a Christmas gifts and I love them for sleeping and wearing around the house. Don’t get me wrong they are definitely cute enough to wear out I just haven’t had a chance to yet. They aren’t too tight and I can wrap them around 3 times if I want to. Even better they don’t leave creases! 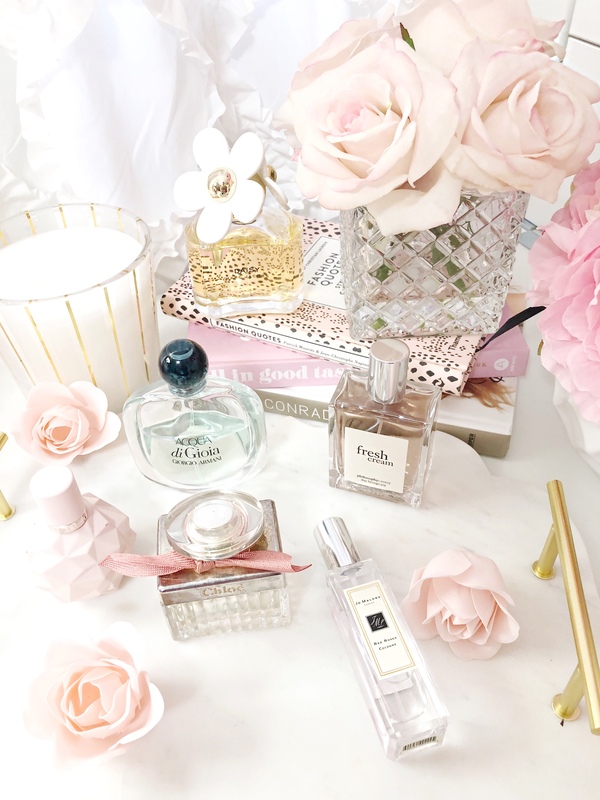 Chloe De Roses perfume is probably the one I use the most. I fell in love with it about 2 years ago and it smells exactly like roses not fake like several other ones. Rose scent is my favorite and this one is 100% worth it! Chloe Original Perfume I used this perfume before the Chloe rose perfume came out so this is probably the next runner up. It’s fresh and clean and a little different. Every time I wear it someone asks about it or tells me I smell really good. It’s different from the rest for sure. I’ve been using this for a couple of years. This is another one that people always ask about when I am wearing it. It has a very unique smell. I’m going to call it a spunky fragrance because it’s not overly girly but it’s a nice refreshing smell. This is a newer purchase. It really does smell like fresh cream. The scent reminds me of icing fresh cookies. this on is very fun and sweet and playful. A classic fragrance in my book. It’s floral and fresh and another one with a very catchy and original scent that people always ask about and give me compliments. If you are super girly you will love this one! It smells just like candy! This is a super fun and playful choice and it always puts me in a good mood. Plus the bottle comes with a super cute pom pom! Another great blog post my friend! 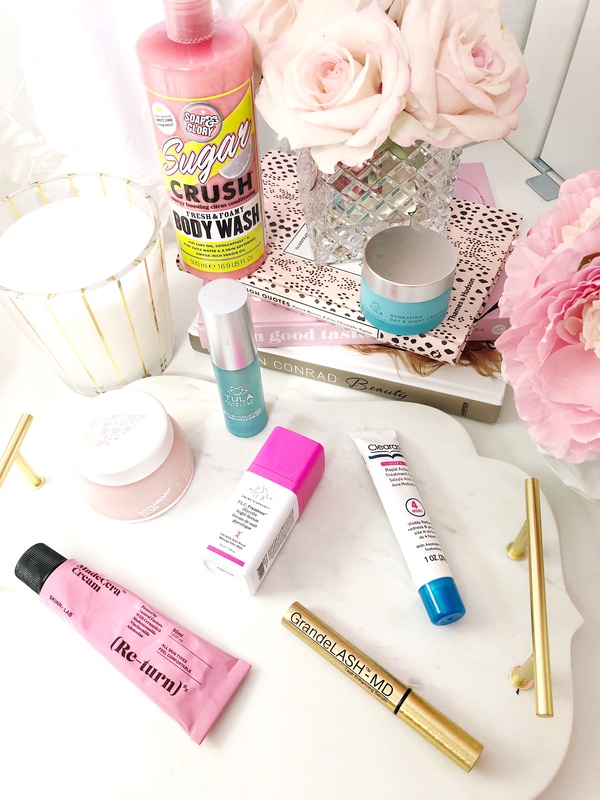 I’m going to look into more beauty care products this year! Microderm abrasion in the micro needling tools look amazing! Thank you so much for your recommendations. I love this great 2018 year of beauty review! Thanks so much! I highly recommend the beauty bio! It has helped me maximize the effects of my skincare products for the better and was well worth the investment!